Since 2000, LibertyTree has been publishing Liberty Quotes online. Before WordPress blogs and Twitter 'tweets,' LibertyTree has offered a platform for dialogue and discussion about Liberty and the Responsibility that comes with it. 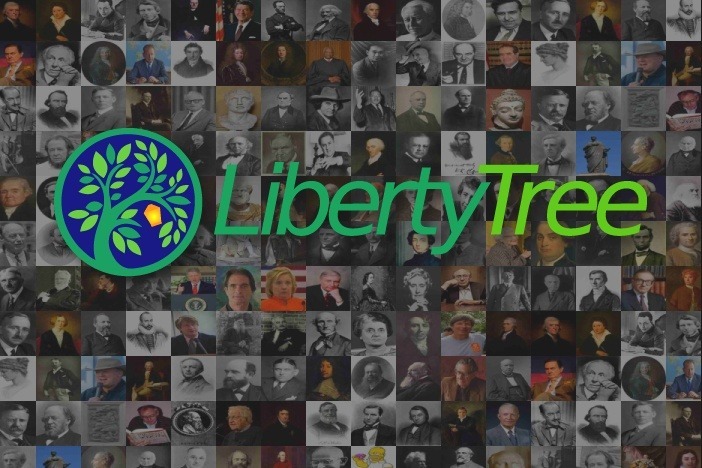 Quoting from thousands of authors, speakers, and writers from around the world throughout history, LibertyTree started emailing daily Liberty Quotes to subscribers shortly after launching liberty-tree.ca. We have recently implemented a long over-due redesign of the liberty-tree.ca site, at the new libertytree.ca . LibertyTree develops everything in-house on our own servers. We do not depend upon 3rd party service providers. We do not share our mailing list or user information of any kind. While we have Google and Amazon ads on our web pages, the revenues have never really been worth the bother to our viewers. I'll be frank, we don't really make any money from online advertisers. We have always maintained our own server, software, mail system, web sites, everything ourselves as we have always been wary to trust online tech companies with hosting our data and mail. A good thing, too, because without that autonomy, our data would be 'their' data -- keep that in mind if you have a Gmail or Yahoo mail account, all your communications are theirs and indexed. The Liberty Tree server and Daily Quote service is a labor of love from yours truly, the Editor, with the support of our donors. We are ever so grateful for the donations we have received over the years, while they do help, our costs are still higher. Ad revenue from Google and Amazon are but a trickle compared to the generosity of our donors. And with the recent online crack down of free speech, 'liberty' has become a trigger word. We are more dependent upon sponsorship than ever. Online publishers who are dependent upon their advertisers more than the support of their readers can only publish messages approved by the advertisers. For those that need to make money, it's simple, play ball, and you will rise to the top. The content be damned, just monetize clicks, cater to the basest desires. It's the fast food of online publishing. This is the first time LibertyTree has had an 'official' fundraiser. Our readers have been very generous in the past whenever a Letter from the Editor has been sent. If you've been a long time subscriber to LibertyQuotes, will you consider making a donation to our GoFundMe campaign? Your support makes this work your work.